Ten Subjects of Women - Lovely beauty portrait from a Takehisa Yumeji series titled "Ten Subjects of Women," posthumously published in a limited edition of 200 in 1987. 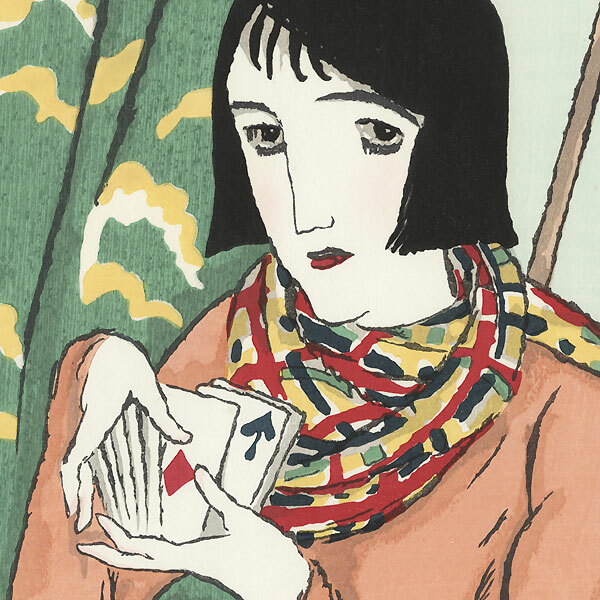 Each image is based on an earlier painting by Yumeji. Beautifully printed to capture the appearance of the original paintings, each woodblock is individually numbered in red ink within the margin. Rarely seen, these handsome woodblocks are a wonderful way to acquire a classic Yumeji beauty design. A nice choice to collect or display. 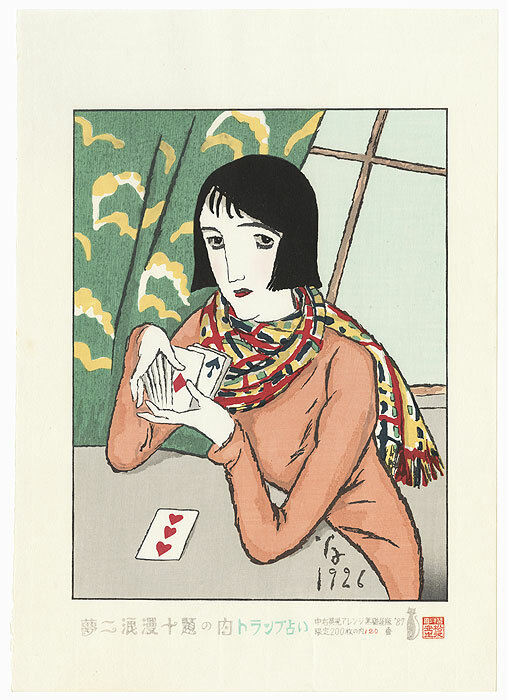 Card Player - Great image of a modern beauty sitting at a table playing cards, looking up as she shuffles the deck. Her hair is bobbed and a brightly patterned scarf is draped around her neck. 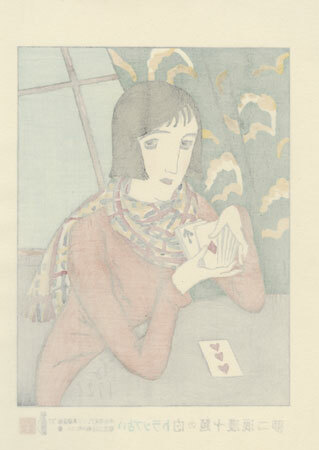 A terrific 1920s image by Yumeji.